Okay, so this isn’t a writing update, but I had this post with a link to my Taskstream Template I created when I attended WGU up on my old blog and it helped some folks out, so I’m re-posting it. Nothing wrong with keeping that goodwill going. 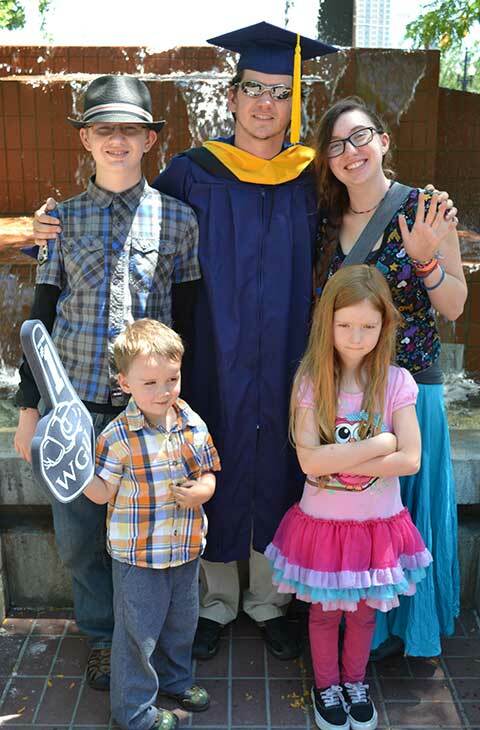 Western Governors University is a great school. Don’t let anyone tell you any different. The competency-based learning model provides you with the opportunity to demonstrate your mastery of the subject matter without confining you to a time-based schedule. This all-you-can eat program allows you to complete courses ahead of schedule and go back for more, all without incurring a course-based fee. For the motivated professional who is looking to complete a degree while working on their career, WGU is amazing. I eventually figured out a method to satisfy the rubric requirements for my Taskstream assignments. This really helped simplify the process. The template I created for answering these requirements streamlined the work for me and helped me make sure I was hitting each of the prescribed rubric items. Having the rubric items laid out in a clear and logical manner provided the graders with the information they were looking for without them having to find it in the middle of a paragraph. In the end, all of this helped me drop the melodrama of facing written assignments that didn’t fit my personal expectations. I stopped arguing whether the assignment was or was not a traditional essay and just focused on the work. Once I figured out a standard format to use to meet the rubric grading mechanisms, these assignments lost their punch-to-the-face impact. I was able to focus on the content of my studies and proceed with my degree without several of the roadblocks I’d created for myself. If nothing else, WGU taught me to take a good look at how I was approaching problems. It’s a learning process, but taking time to stop beating your head against the wall will help you tackle problems for what they are and not what you’re making them out to be. I passed this template on to three other students while I was still working on my degree and they all found it to be useful. So, I decided to share it here and ever since, many other students have downloaded the template and used it for their written assignments. You see, I’ve always been open about sharing this template and since it doesn’t violate any of the principles of the university or the grading mechanisms, it’s completely fair game. You still have to demonstrate your own competency. And no, I WILL NOT provide you with a finished assignment as an example. This is a blank template, with nothing more than formatting, headings, and instructions (which you will replace with the content of your assignment). This template just helps you get over the formatting issue. It showcases your answers to the rubric items in a way that benefits both you and the TaskStream grader. Look, they might ask for an essay, but this format will help the graders identify your answers and it’s designed to help you use the rubric to your advantage! You can download my free WGU Taskstream Essay Template here. This link points to Google Docs, where you can download the document for free. There is truly no cost, no newsletter to sign up for, just one alumni trying to help out a future one! Because that’s just the kind of person I am. But if you are interested in signing up for my newsletter, you should know that it’s all about my fiction writing and not filled with useful WGU tips and tricks like this one. Though, if there’s something you’re aching to know about the WGU experience, you can always ask and if I have the answer, I’ll be more than happy to share it with you. Google Analytics tells me that this post is a fairly popular with other WGU students, too. So if I don’t know, maybe someone else might and they can chime in! 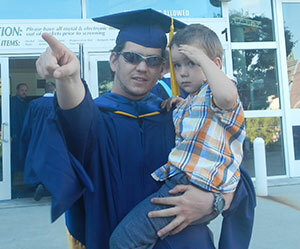 That’s one thing you’ll find about WGU, your fellow students can be amazing resources. I can honestly tell you that I received a lot more help than I expected from other working adults who were also pursuing their degrees full-time on more than one occasion. And if there is one other bit of advice I could give you, I would recommend that you try to attend some of the mixers WGU puts on. That’s one thing I didn’t do until very late in the game and I wish I’d gone sooner! If you found this post to be helpful, please consider sharing it with other students you know or even with your WGU mentor. This really is something I wish I had access to when I first started my program and I’m very confident that it can help many WGU students who may be struggling with the Taskstream grading system. Thank you for this!!! Just starting my MBA this week (Feb 1st starts my semester) and I’m due with my first child in June. Hoping to be as close to done as possible by then and I’m sure this will help me out a great deal! That’s great news! I’m so glad you found my template and I hope it helps you get through those assignments. Just remember, sometimes the graders will kick your assignment back, but all it will need is targeted improvement. With the way the template is structured, you’ll know right where to go in and add a diagram or a few clarifying sentences. Thanks so much!! I thought my paper was pretty clear on the SWOT but I guess not!! That’s the hard part about the way the assignments are structured. You have the rubric and a task to write an essay, but covering the material in true essay format can make it hard for the graders to isolate and check off specific rubric items. That’s really where the power of this template comes in. By isolating those specific sections, it allows the grader to read and analyze each rubric item individually. Once you wrap your mind around it and let go of “normal” essay conventions, you’ll find the assignments are much easier to complete. And, if your assignment gets kicked back for additional detail, you’ll know right where to add it. *Also, pro-tip: never underestimate the power of Word’s SmartArt (Microsoft Word > Insert > SmartArt) to add an illustration of technical points you’d like to get across. Thank you for the template. I saw your post over at tech-exams.net website. I’m starting my MSCIA in June 2017. I am having trouble with the Business Communication class… I am confused on the power point. I think I am making it to be a lot bigger than it is! Do you have any tips for this course? I can’t comment on any specific assignments, but I can sympathize with your confusion regarding the PowerPoint requirements. In honest truth, you’ve hit the nail right on the head. You’re likely making it more complicated than it needs to be. I really am saying that from a position of trust and understanding, though. When I turned in my first slide deck for an assignment, I had created custom fictitious company logos and I’d even embedded sound files of me giving the presentation. Holy googaleemoogalee! Talk about overkill. Treat the PowerPoint slides just like you would if you were using your templates. Slides are for talking points, fun graphics (read: simple and searchable clip art in PowerPoint), and moving the grader through your assignment. The heavy lifting for the rubric will be in the slide Notes section. This is where you can employ the same tactics as the essay template. Label each rubric item as you cover it. (fake example:) [A1] At FictitiousCompany, communicating with our customers is a key component to our mission statement. But more than that, it has become a hallmark of our presence in the marketplace. (other supporting ideas for rubric item A1) [next slide] [A2] When we handled the Johnson account, it became apparent that we needed to re-examine our… (rubric item A2) … etc. Brady – did you ever receive a template from WGU that you never used? I just started my class and I was given three templates for 3 tasks I need to complete. They look very similar to your template, each rubric item is broken down into different parts. I was just curious whether WGU recently started providing templates to make it easier for student. I’m looking at the template provided by WGU, the content was created on 4/29/2016 by a WGU course mentor (Jenny Heiner). Andersen, thanks for stopping by and leaving a comment. WGU-provided templates? That’s a new one for me. It could be that you happen to have a better mentor than I had, or maybe WGU has upped its game since I was enrolled. I graduated back in October, 2013, so it’s been a few years.